Our favourite pin-up gal is back in Blighty in 2019 and we are super excited to be hosting her in the salon again! 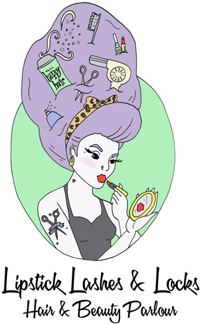 Cherry Dollface will be doing her last UK tour and will be in Lipstick, Lashes and Locks for hair and makeup classes as well as group photoshoots on the 25th & 26th May 2019! Spaces for these workshops and the photoshoots have sold out lightning fast the last two times we have hosted her, so book as early as possible to avoid disappointment. Its going to be one heck of a weekend, defo one not to miss!